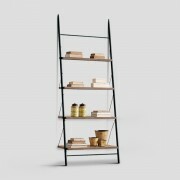 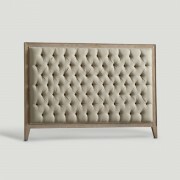 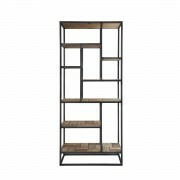 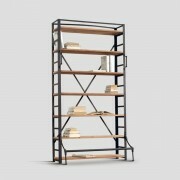 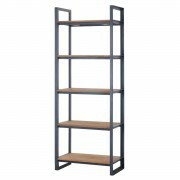 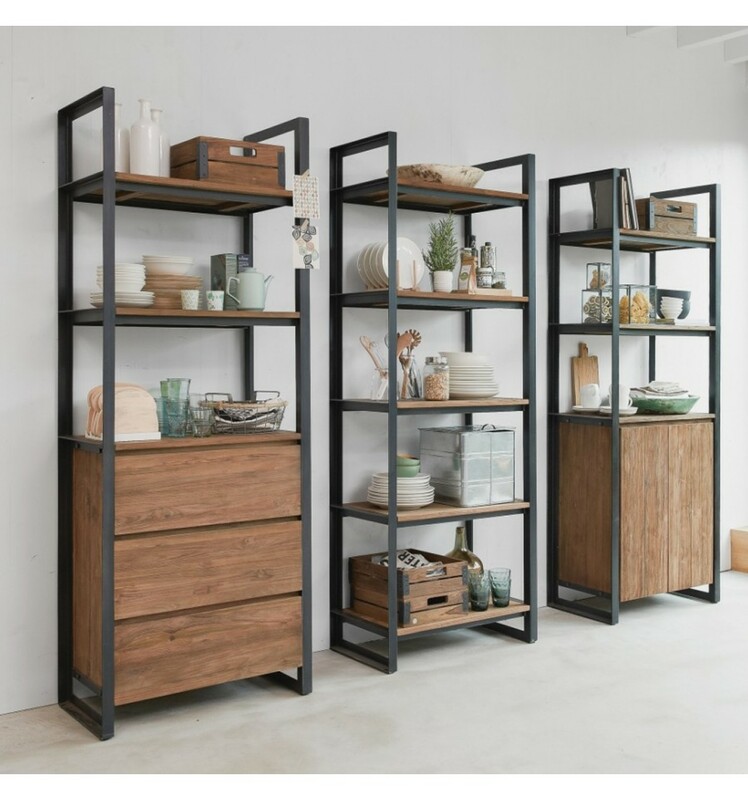 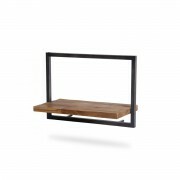 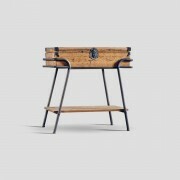 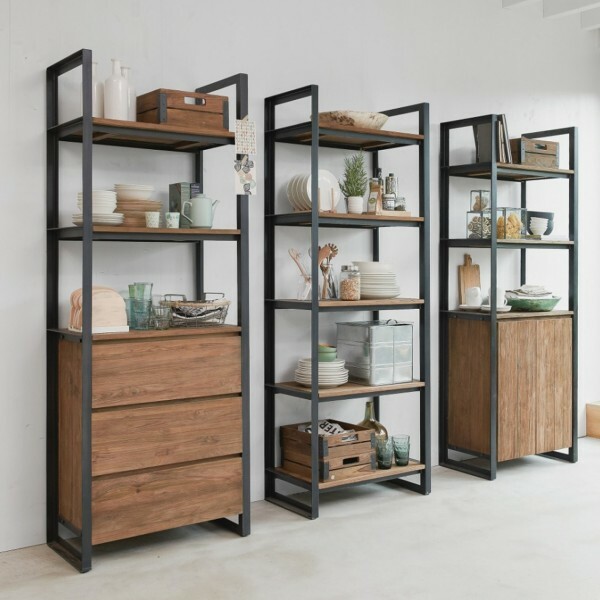 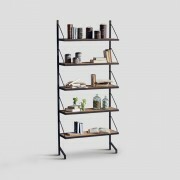 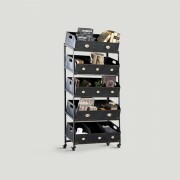 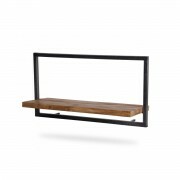 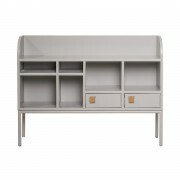 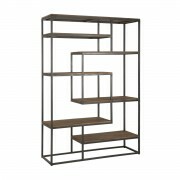 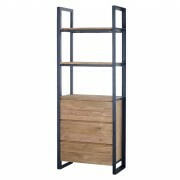 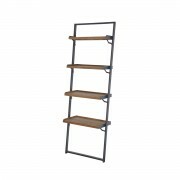 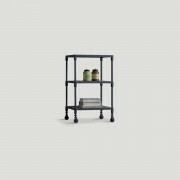 IDI STUDIO BOOKCASE FENDY 2 DOORS 2 OPEN SHELVES - Fendy collection is characterized by the blend of solid teak wood and iron. 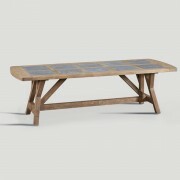 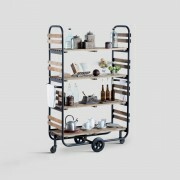 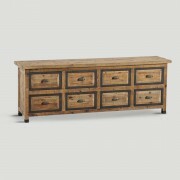 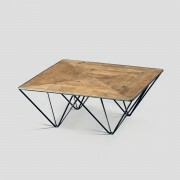 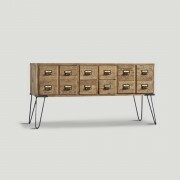 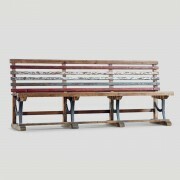 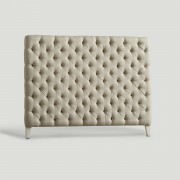 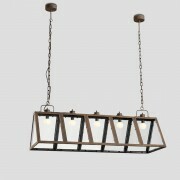 Its clean lines make it minimalistic and modern, with an industrialchic touch enhanced by the old wood. 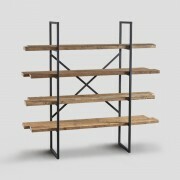 The main wood used in our production is the Tectona grandis tree from East Java in Indonesia. 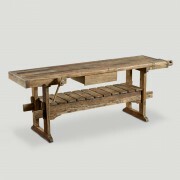 This wood was used for decades to build villages and houses. 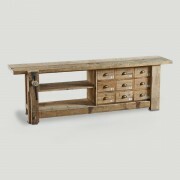 After years the houses are abandoned and wood falls into disuse. 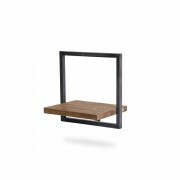 In the past this wood would have been left to decay, for this reason we have a dedicated team who bring us old teak wood to use as our raw material. 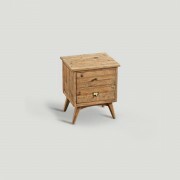 Our skilled craftspeople carefully remove nails and hinges, under their skilled hands the wood comes alive again in individually created furnishings that will last for years. 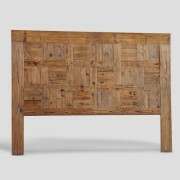 Touching the small nail holes, cracks or old joints recalls stories of the wood s exotic, tropical past. 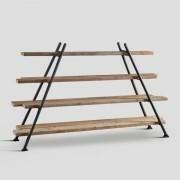 Il materiale principale della nostra produzione è il teak massello ma siamo costantemente alla ricerca di nuove e particolari essenze di legno e materiali di recupero che sapientemente lavorati conferiscono alle nostre collezioni un look unico ed irripetibile. 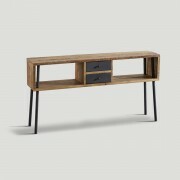 Our main material is solid teakwood but we are constantly searching and handcrafting new types of woods and reclaimed materials that give to our collections a unique and emotional touch. 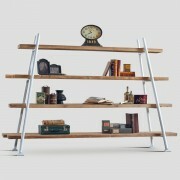 Wood is life, every piece of wood is important and we don t waste it. 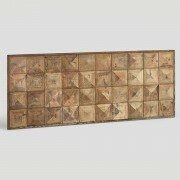 The smaller cut-off wooden pieces are transformed into unique mosaic patterns in several collections.